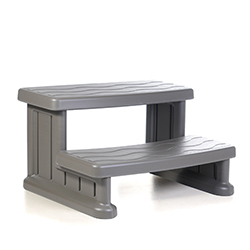 The Essentials Spa Accessories range from Golden Coast. The ultimate ‘one stop shop’ for the European spa and hot tub industry. 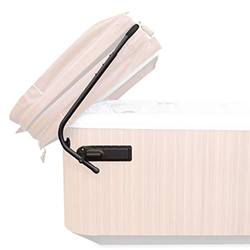 Golden Coast developed the Essentials Spa Accessories range in 2003 to offer the ultimate ‘one stop shop’ for the European spa and hot tub industry. 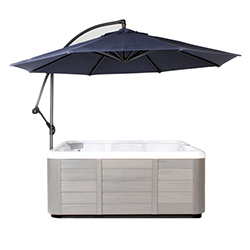 The product range includes everything needed to help spa owners make the most of their spa experience, making it easier to enjoy and maintain their hot tub or spa. The collection of fun-living and practical accessories covers all elements of spa ownership including access, relaxation, entertainment and maintenance. Products that make up the range include those from leading wet leisure brands: Cover Valet, GAME, Life, FROG, and InSPArations, to name a few. A wide choice within each sector ensures that Essentials meets the needs of every spa owner from the ‘coolest dude’ ducks, spa-side bar and caddy trays, to the most versatile and easy to operate spa cover lifters. The range also includes the full selection of ‘essential’ water treatment products and fragrances. In addition to our range of commercial spas, we supply a market leading range of custom build control panels, designed to offer superb build quality, value and feature rich operation via LED display. For spa water treatment we offer a comprehensive range of chemicals under the Essentials brand together with automatic dosing systems from GC Crystal and Triogen. For more information on purchasing these products for your pool or spa business contact a member of the team to create a new trade account. You were busy earlier so I didn’t get a chance to explain, but we had excellent assistance from GC.